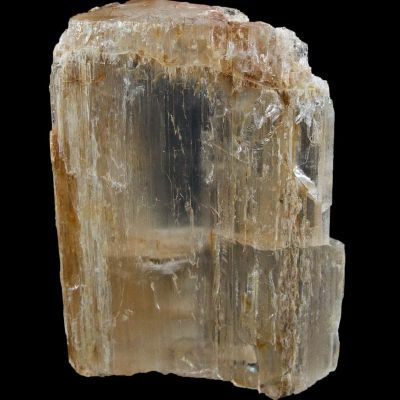 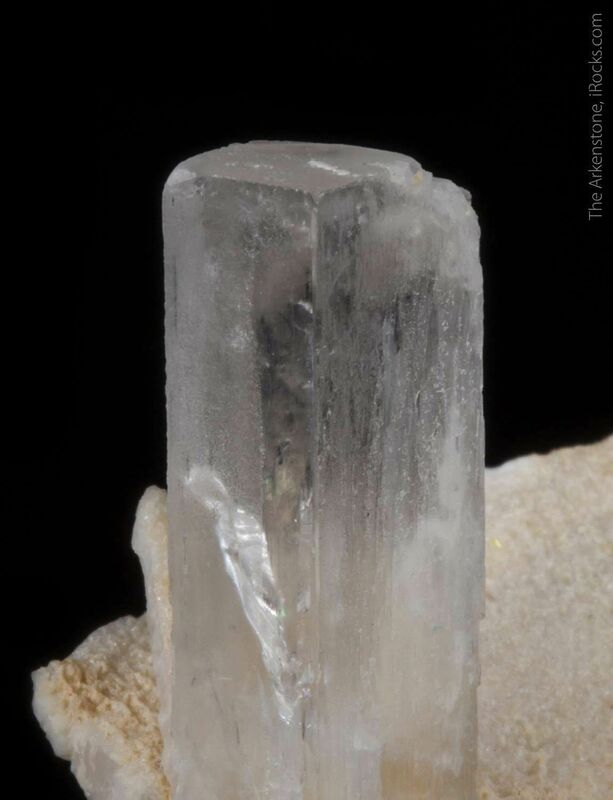 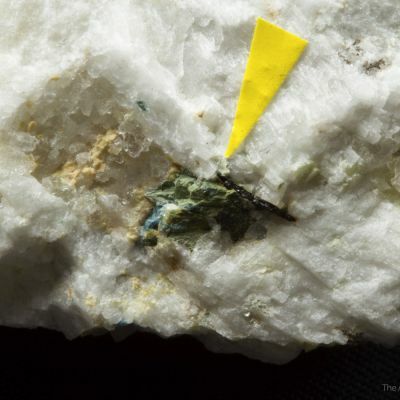 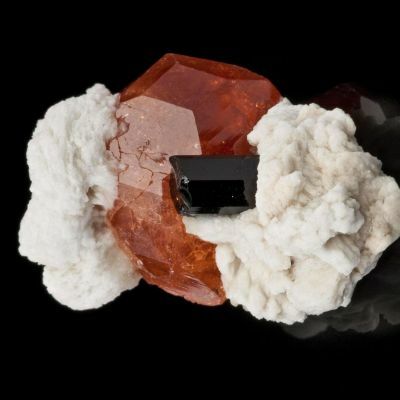 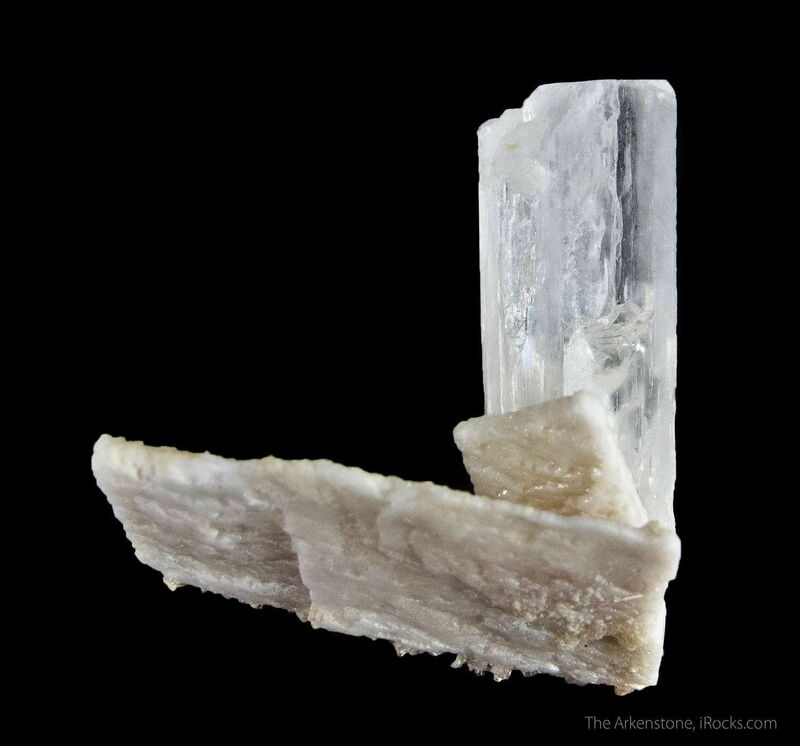 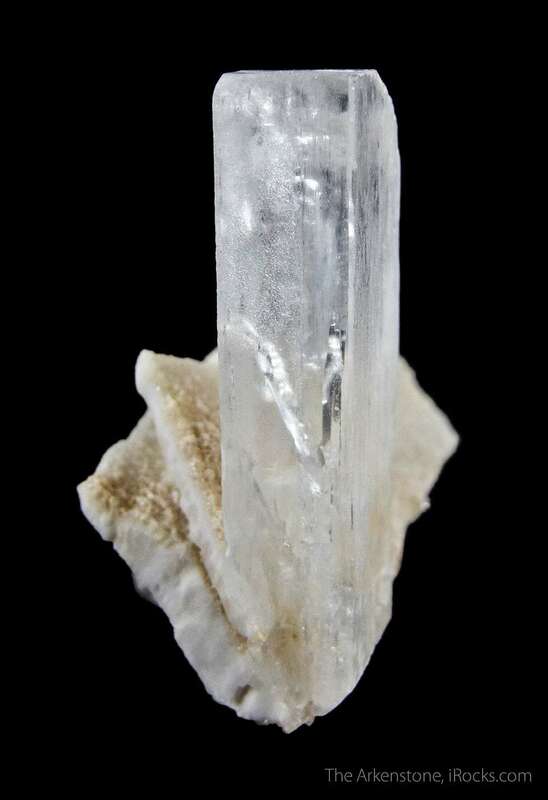 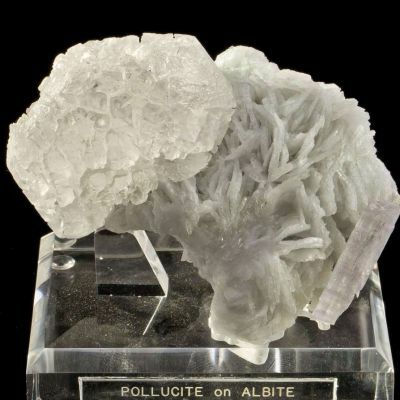 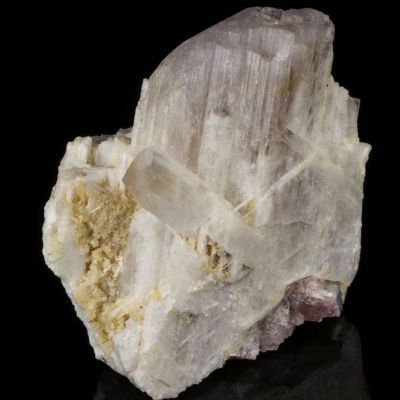 A rare matrix specimen showcasing a gemmy, prismatic 2.8cm crystal of hambergite perched on an albite shard. 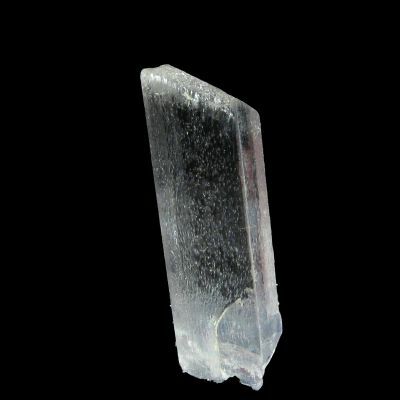 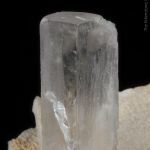 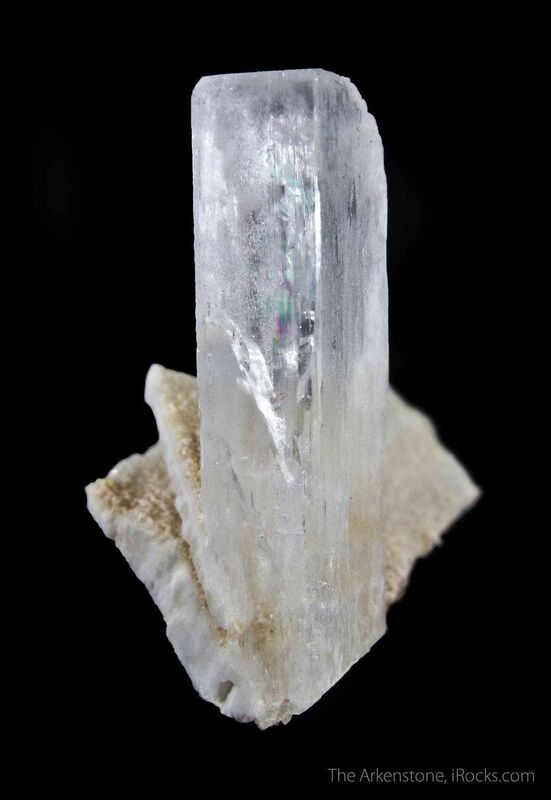 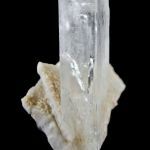 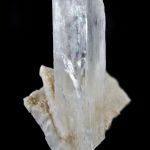 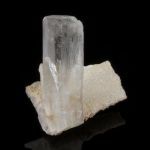 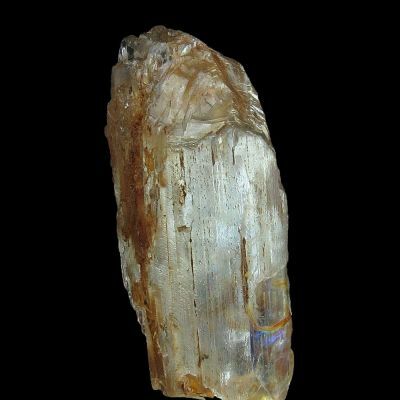 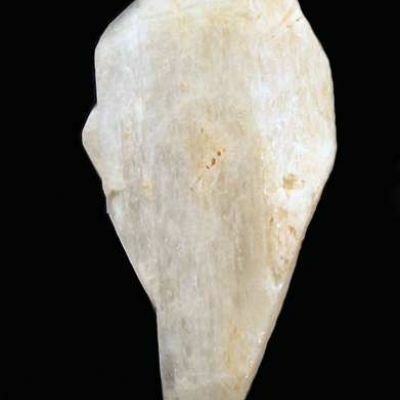 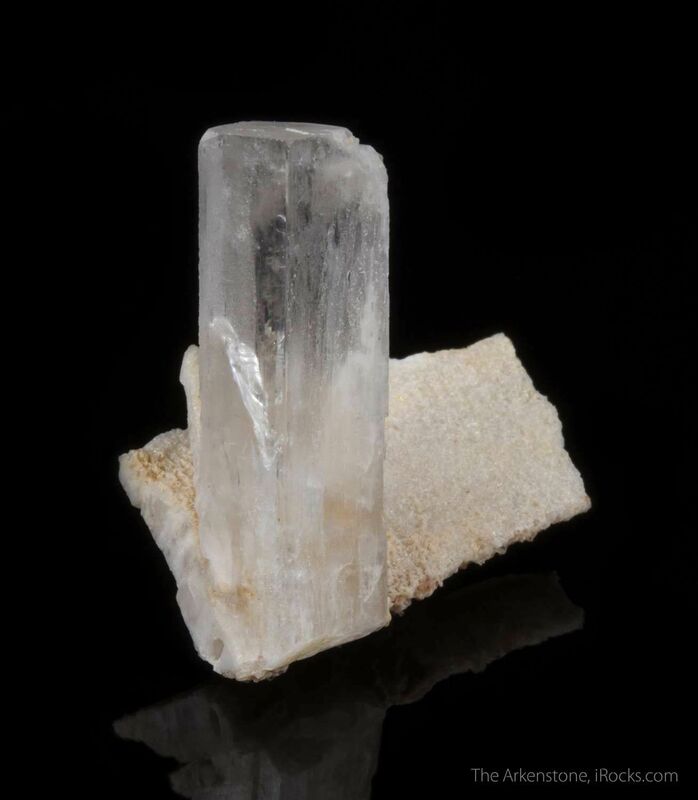 A sharp, transparent to translucent (at the base) crystal with well developed prism faces and a good termination! 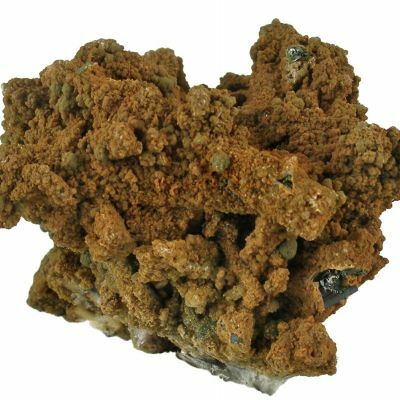 You rarely see matrix specimens of Malagasy hambergites and the faces on this one have a silky to vitreous luster depending on orientation. 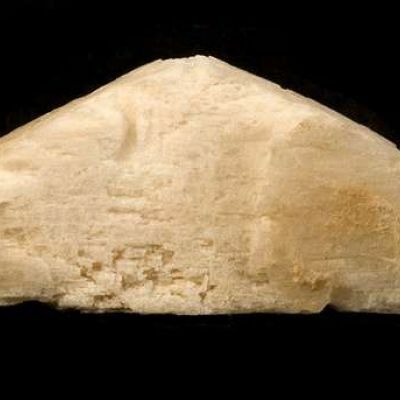 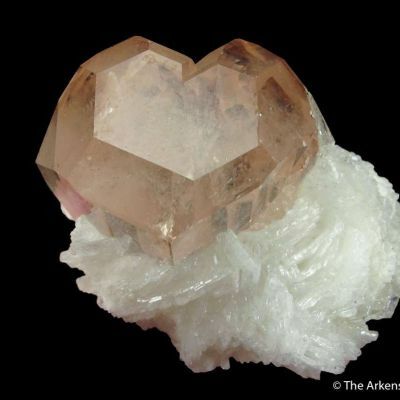 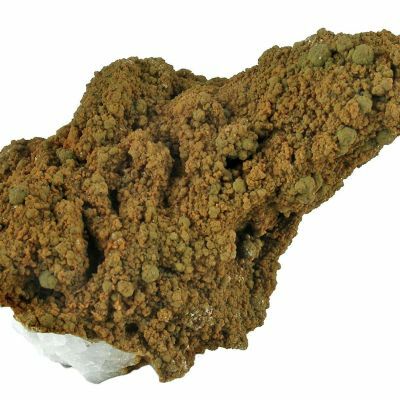 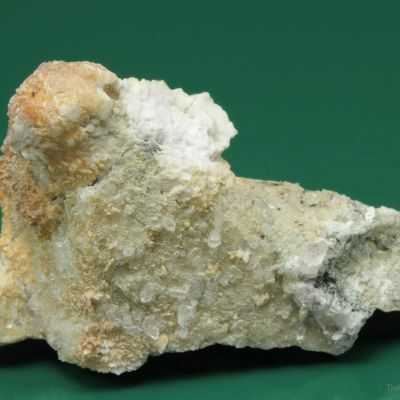 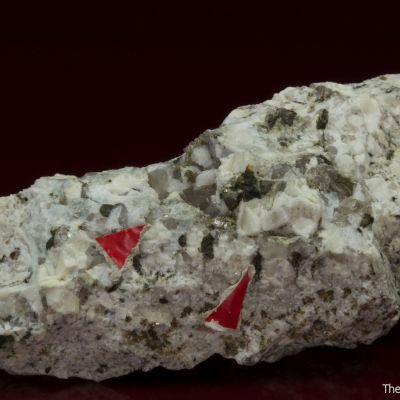 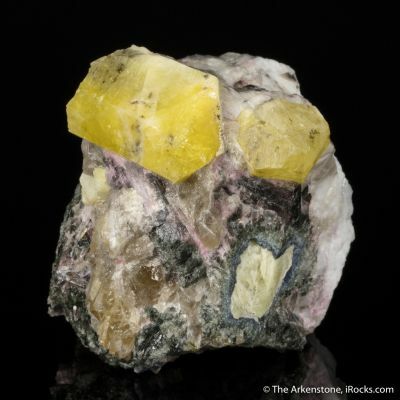 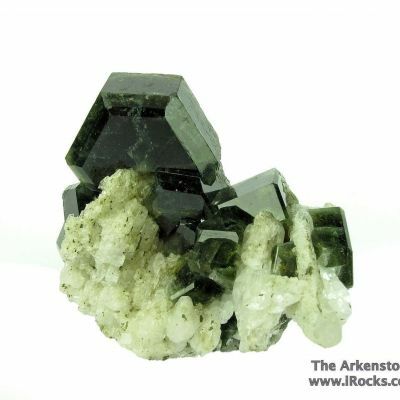 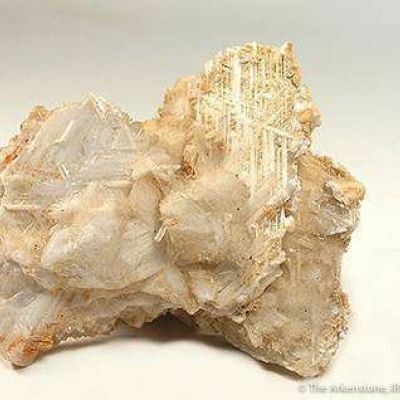 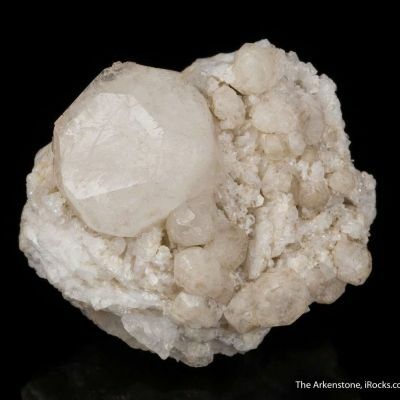 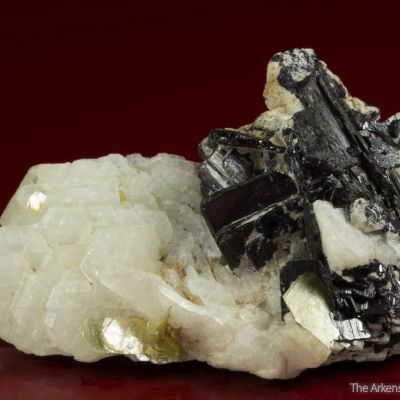 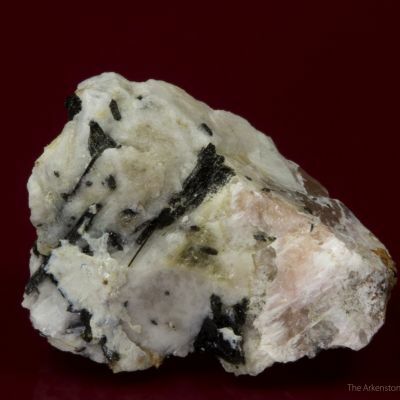 Hambergite, a beryllium borate, is a rare accessory mineral in granite pegmatites.